There’s a saying in Hausa that goes thus: “juma’a mai kyau daga laraba ake gane ta” loosely translated means the signs of a beautiful Friday can be discerned from the preceeding Wednesday. I cannot help mulling over this proverb as events unfold in Libya with the capture and summary execution of former Libyan leader Mu’amar Gadhafi and the declaration of liberation by the National Transitional Council (NTC). Colonel Mu’amar Gadhafi was so many things to different people. A generally eccentric person with a penchant for making controversial and often rambling statements, some regard him as a hero and revolutionary. He supported the People’s Movement for the Liberation of Angola MPLA in the 1970s, the anti-apartheid movement and Africa National Congress (ANC) in South Africa even when Western powers were opposed, he played a prominent role in the transformation of the Organization of African Unity (OAU) to the African Union (AU) in 2001 and remains one of its largest financial contributors, he gave massive financial aid to many African countries including Niger, Chad, Angola and he was a champion of pan-Africanism and African unity. At home, he used Libya’s immense oil revenues to provide Libyans with social benefits. According to award winning author and journalist Kira Salak, Gadhafi tried to the best of his ability to deliver on his promise to provide “a home for all Libyans” as great modern cities and new residential areas rose from the dust of the Sahara. Entire populations living in ancient mud-brick caravan towns in the desert moved to modern dwellings with running water, electricity, and satellite TV. Such social development policies placed Libya in 2010 at high human development on the UN Human Development Index (HDI) in terms of income, life expectancy and education above countries like Saudi Arabia, Mexico, Russia and Brazil. In fact according to World Bank figures 97% of urban dwellers have access to “improved sanitation facilities” in Libya, 21% points above the world average. In 2010, the GDP of Libya was growing at 10.6%, the highest of any African country. At the same time, Gadhafi is regarded as an erratic, brutal dictator who denied his people basic freedoms, the freedom of expression and even access to the Internet. He brutally crushed all dissent in Libya and is alleged to have habitually conducted public hangings and mutilations of political opponents. The Gadhafi regime was regarded as one of the biggest state sponsors of terror. His World Revolutionary Center (WRC), an institution near Benghazi is credited with training some African revolutionaries some of whom became notorious tyrants such as Blaise Compaoré of Burkina Faso and Idriss Déby of Chad. He is also accused of supporting rebel, separatist and even extremist groups such as the IRA in the UK, Liberia’s Charles Taylor and Foday Sankoh’s Revolutionary United Front (RUF) responsible for amputating the limbs of innocent men, women and children in Sierra Leone; he had a hand in wars in Chad and Sudan and is even alleged to have more knowledge of the Lockerbie bombing incident than he lets out. His acquisition of weapons of mass destruction led to attempts to acquire nuclear weapons severally from China, Pakistan and India and an active chemical weapons arsenal which he abandoned after the Iraq invasion in 2003. In March 2010, Gadhafi drew the ire of most Nigerians when he infamously called for the balkanization of Nigeria along a Muslim-Christian divide in order to bring an end to the frequent ethno-religious crises. His status as a brutal dictator came to a head with the violent crushing of protests in Benghazi in February 2011 as homemade videos were purported to have shown. However, unlike the mass protests in Tunisia and Egypt where citizens from all walks of life congregated on the streets of Tunis and Cairo respectively devoid of NATO intervention, rebels from the eastern city of Benghazi now called the “birth-place” of the uprising started the movement against Gaddafi’s regime, they weren’t even in the Capital city. It is a widely accepted fact that without the UN no-fly zone, the training, logistics and even ground forces provided by the French, British and to an extent Qatari governments to the Libyan rebels in Benghazi and also the NATO bombing campaign which significantly weakened Gadhafi’s forces and enabled the rebels to march on to Tripoli, the outcome of the Libyan uprising would have been significantly different. I keep thinking that what if at the peak of the Niger-Delta insurgency in Nigeria between 2007-2009, rather than an amnesty programme initiated by the government of Late President Umar Musa Yar’adua and current President Goodluck Jonathan for the militants to lay down their arms and undergo rehabilitation, a NATO bombing campaign had been carried on in Abuja and training provided by foreign governments to enable the militants march on and overthrow the government in Abuja? Okay maybe that’s not the best analogy given that there weren’t many home-made videos circulating the Internet documenting JTF’s alleged brutal containment of the Niger-Delta insurgency, which only worsened the situation before the amnesty programme or that Colonel Gadhafi had been in power for over 40years and maybe Libyans just wanted fresh blood at the helms of affairs. Of course in the face of the full-might of NATO forces, Gadhafi did not stand a chance. Plus Gadhafi’s biggest problem, like most dictators, is that he did not know when to quit. 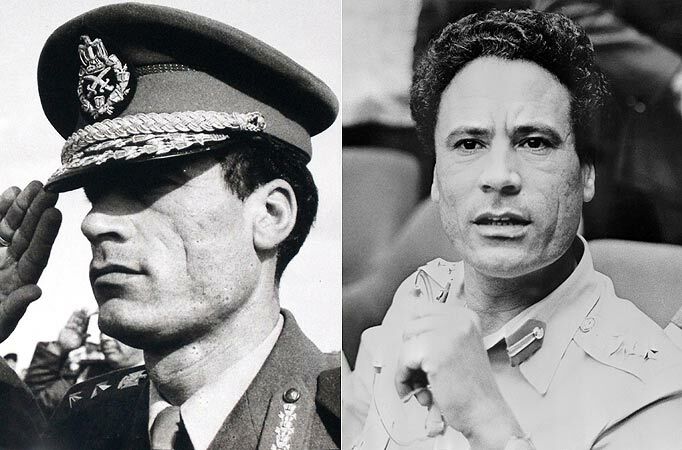 The dashing, young, populist revolutionary who liberated his people from the oppressive clutches of the King Idris monarchy in 1969 transitioned to a leader despised by people who probably just got tired of being led by the same person. With the eventual capture of Tripoli on 23rd August 2011, Gadhafi and his family fled, but the battle raged on in other cities, notably Sirte, his stronghold. Finally on October 20th, the NTC announced that Gadhafi was captured and wounded, and moments later he was reported to have died. Then the conflicting reports of how the Colonel died began. Gadhafi’s convoy was said to have been struck by a fighter jet, another account says he was wounded in a gun fight and died in an ambulance on the way to the hospital, then videos emerged of a seemingly injured and bloodied Gadhafi captured and taunted by NTC forces. The general consensus is that he died of a gun-shot to the head. The UN, British government and Amnesty international amongst others have demanded a probe into this summary execution which violates the Geneva conventions. Now what is most worrying about all this is the behaviour of the NTC which appears to be increasingly adopting some of Ghadhafi’s brutal tactics they were initially fighting against. He was obviously murdered: whether as a premeditated action or perpetrated by a random, over-enthusiastic and angry NTC fighter, while the extent of NATO’s complicity is also questioned as its actions and intense bombing campaign against the Gadhafi regime are widely regarded to have overstepped its original mandate to enforce the UN no-fly zone, despite its repeated insistence that its mission is not regime change or the assassination of Gadhafi. Furthermore, the humiliation and virtual desecration of the former leader’s corpse which is now being stored in a halal meat cooler in Misrata, on a cheap mattress is most unbefitting a former leader, utterly disrespectful and sickening. It is also contrary to Islamic tradition which prescribes the immediate burial of the dead. What is more, is the reaction of some foreign leaders to this extra-judicial execution which negates every sense of humanity or decency. The same leaders that hugged and kissed Ghadhafi, literally speaking are now celebrating this summary execution as a “victory” for freedom and democracy. Excuse me, is the irony lost on anyone else? The fact is that no one in their right mind would support Gadhafi or any leader staying too long in power, monopolizing it and treating it as hereditary for the gist was that he wanted to hand over power to his son, Saif-al-Islam. People should be free to choose who they want to govern them. My problem here is with the way Gadhafi was ousted, with NATO exceeding is original UN mandate and taking sides in what was obviously a civil war, assisting insurgents to unseat a legitimate (though not democratic) sitting leader and the celebration of his summary execution by not only foreign leaders who were once his friends and allies but also the sickening and disturbing display of his bruised corpse by newspapers preaching freedom, democracy and human rights. He was in power for 42years yet the world didn’t know he was brutal, dictatorial or was oppressing his own people. It is such inconsistency in the foreign policies of some Western governments which fuels the conspiracy theories. In addition, reports of mistreatment, torture and even murder of perceived Ghadhafi supporters and loyalists, especially black Sub-saharan migrants who are mostly erroneously accused of being Ghadhafi’s mercenaries are equally worrying. Even during Ghaddafi’s days, black immigrants were subjected to racism, exploitation and xenophobic attacks. With the uprising, Amnesty International reports the arbitrary imprisonment, beatings and killings of mostly innocent dark skinned Libyans and Sub Saharan migrants by NTC forces, on the assumption that they are hired mercenaries. While I wish the Libyan people well, and hope they kind of system they so deserve. They, especially, NTC should realize that they are embarking on a long journey of rebuilding a country scarred by bombs, bloodshed and picking-up the pieces after the fall of Ghadhafi. State-building in such a situation where institutions of the state have been personalized and modelled after Gaddafi is going to be a long and possibly ardous process. In all this, adopting the same brutal tactics they complained Ghadhafi used against ordinary Libyans surely will not bode well for the new democratic and free Libya they are hoping for. Conrad Murray Found Guilty: CAN WE PLEASE MOVE ON!? Thanks Zainab for this. The leader was controversial and i for one thought he might have been delusional towards the end of his days. But to say he deserved what happened to him is completely unthoughtful and hypocritical indeed… certainly not from his own people(if it were). The internationally sponsored civil war has so many breaches to what defines war crimes, and also the reaction and justification of his death by the leaders of the international community is both hypocritical and disheartening to the philosophy of democracy, human rights and Justice. Its a Sad day in Syria, Bahrain and Palestine where worse crimes are committed but left by the international community hoping the problem as well as the people, will be silenced, lost and forgotten. Zainab, History always repeats itself. 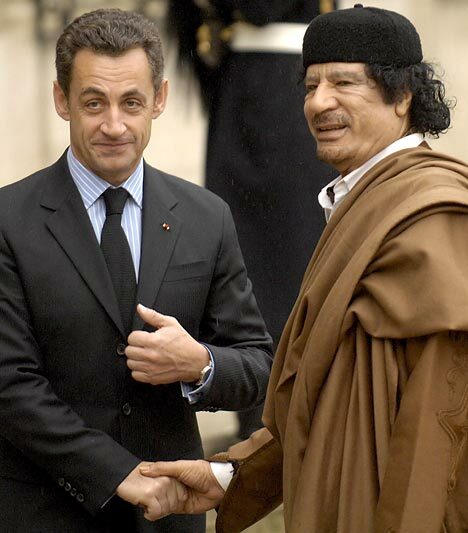 Gaddafi’s Rise and fall is so much similar to Pharoa and in every situation they say there is a lesson to be learnt. There’s a very big lesson for our leaders and elites to learn in the Gaddafi story. Leaders that think its their birht right to rule, people that believe they are the only ones that deserve to be in high echelons should learn from Gaddafi. A very good piece. Everyone makes mistakes but its important to never mistreat humans. His accomplishments were brilliant but methods questionable. Zainab, this is another good one. Congrats. I have prepared it for publication in our daily newspaper, Blueprint, tomorrow. as usual i can’t say i agree with some minor views but the major message is clear and well argued another nice one from you! Gaddafi was not a saint but he stood tall amongst African leaders of his time for upping the living standard of his people. The West had always seen Gaddafi as a cankerworm and an obstacle to their exploitative plans; Gaddafi could not be tamed or remotely controlled nor dictated to like so many African leaders of the past and the present the West had helped installed in power either through overt or covert means. Thus, the NATO countries including US had always wanted to topple Gaddafi through a military coup by artificially inciting an uprising within the Libyan Army. They’ve fretted with so many ideas to get this done for awhile and the opportunity came with the events in Eqypt and Tunisia aka Arab Spring. Gaddafi has lost the fight and paid the ultimate price but the Libyan populace will suffer the most in post Gaddafi era. I also believe peace will elude Libya as NTC or NATO back rebels will face internal resistance from amny other tribal clans within the country.